Our new Zip Line means that there are exciting new employment opportunities at Camp Dearborn. If you enjoy working outdoors in a fun environment, click any of the links below, and begin your application. 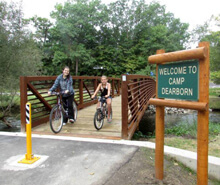 Camp Dearborn is a family-orientated recreational facility, owned and operated by the City of Dearborn Recreation & Parks Department. 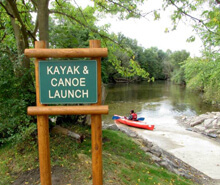 The Camp is located in picturesque Milford, approximately 35 miles northwest of Dearborn City Hall and conveniently located near many of southeastern Michigan's main attractions. 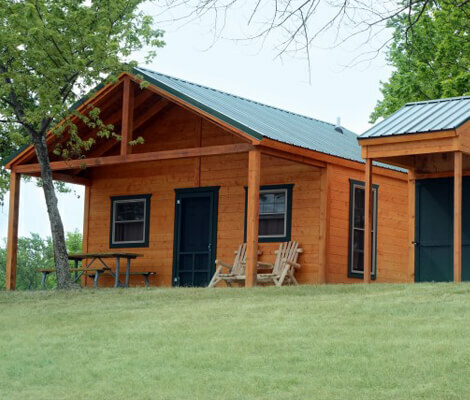 Our resort cabins overlook Paddleboat Lake, and feature a complete bathroom, garbage disposal, and ceiling fan, refrigerator and two standard size bunks. 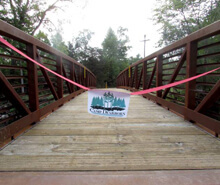 Join our mailing list and be the first to receive updates from Camp Dearborn and the Dearborn Recreation & Parks Department. 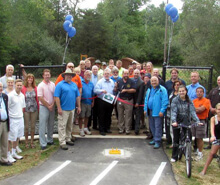 Read the latest department news in our current Recreation & Parks Brochure.